Even Shanghai’s tribute to The Purge—which beat the television series premiere by two days—makes sense. The Dragons went 0-40 over the course of the season, solidifying their reputation as one of the worst teams in recent sporting history. The ever-present dream of a come-from-behind underdog victory—just one win—made those players’ trials and tribulations instantly compelling, but it’s blindingly clear in hindsight that their team did not have a winning formula. As of now, Shanghai’s roster contains just three players: Se-yeon “Geguri” Kim, Weida “Diya” Lu, and Eui-Seok “Fearless” Lee. 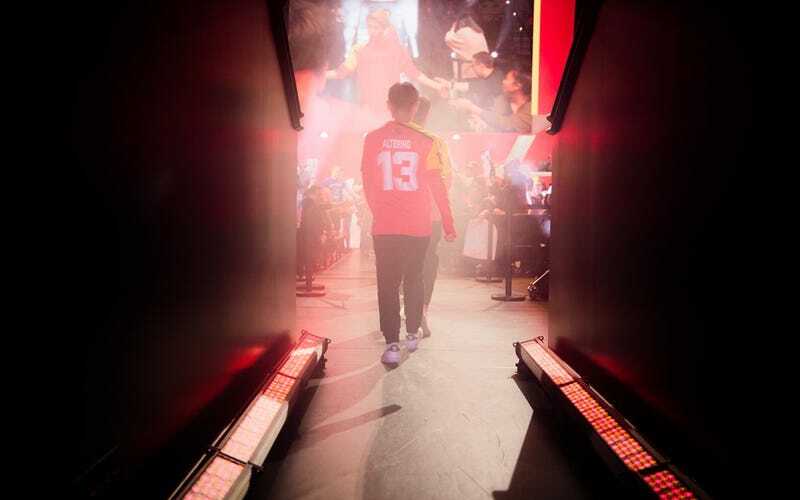 Janus has gotten an especially tearful farewell, not just because of his skillful (and sometimes quirky) playstyle, but because he communicated with fans via Discord. Many diehard Overwatch League fans seem to love their favorite teams not because of whichever city they represent, but because of a connection to individual players and their personalities. The fact that so many fans have been present for the entire run of Overwatch League’s short history, combined with streams and Discord channels hosted by the game’s most popular players, creates an environment in which fans feel extremely connected to individual players. But franchised sports leagues are big games of musical chairs. Players have to get released and traded and, eventually, retire. And let’s not forget that Overwatch League teams are trying to recoup the millions of dollars they each spent on league slots by winning games, and also by selling merch and creating personality-driven web content. You can question the wisdom of teams’ recent decisions—and a handful of the recent releases are definitely questionable—but in the grand sporting pursuit of victory and cash, nothing is sacred except victory and cash.